The Rotary Club of Newcastle was pleased to present the Miramichi Curling Club with $5400 to enable the purchase of one complete set of “little rocks” for their children’s program. These special curling stones are designed to be 20 pounds instead of the normal 40, despite being the same physical size as the adult version. The youth program at the club has increased dramatically to 35 participants in recent years, with local teams coming away with both first and second place at last year’s provincials. 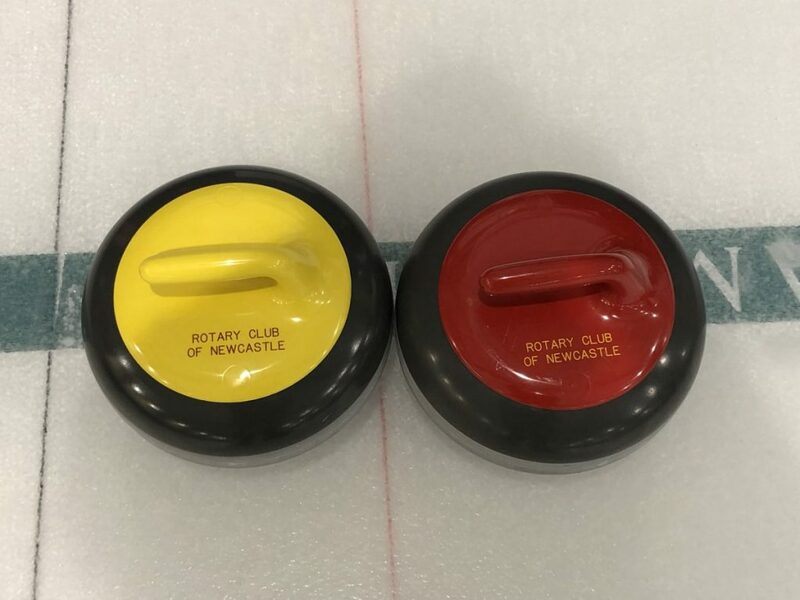 The curling club is working toward enough little rock sets to enable hosting future provincials. 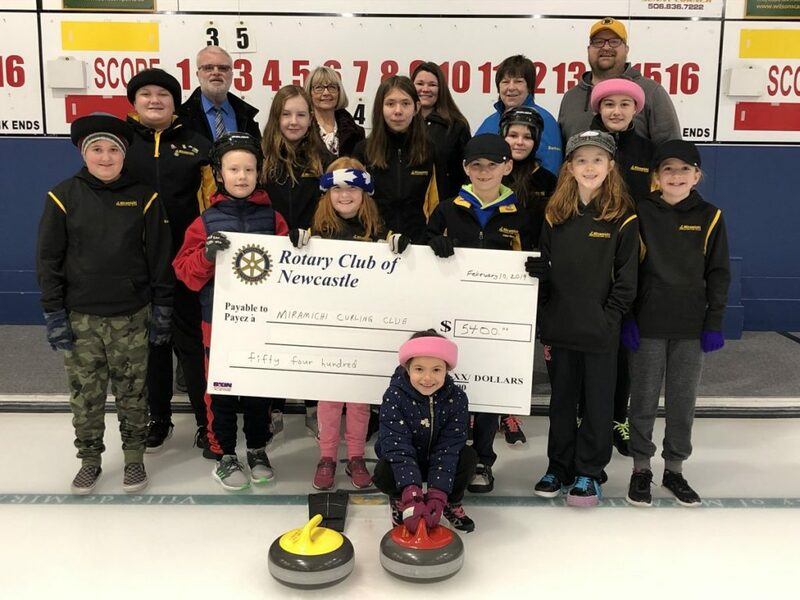 Pictured with Newcastle Rotarians and curling club president Shawn Ingersoll are members of the youth program showing off a pair of their new curling rocks..